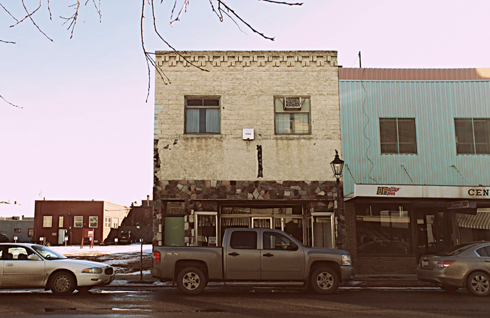 This downtown location in Medicine Hat, Alberta became a focal point after the Central Block fire in 2007. 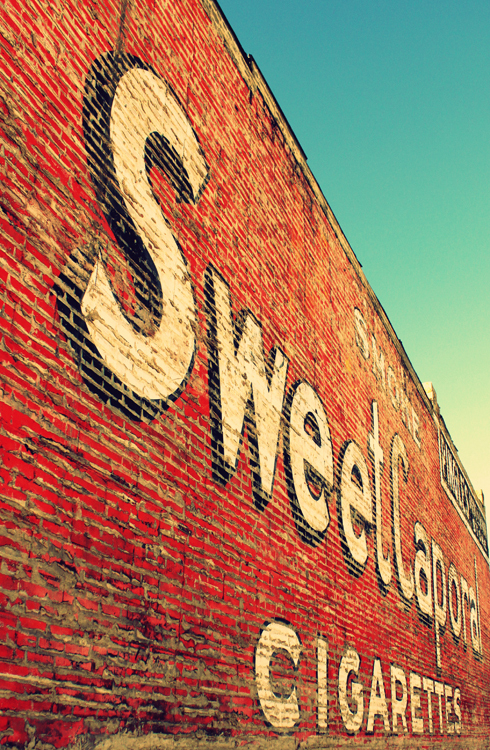 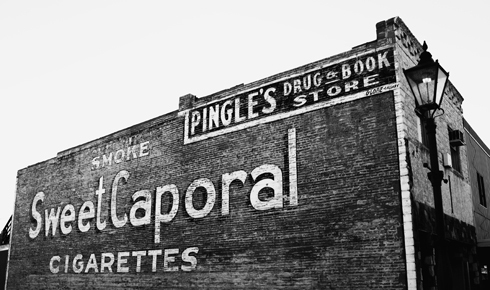 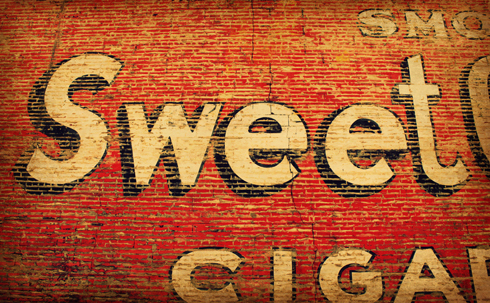 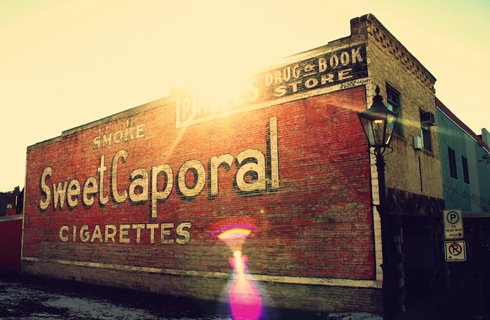 When 'the Block' was demolished it revealed this painted Sweet Caporal cigarette ad, along with the name of the original vendor, Pingle's Drug and Book Store. 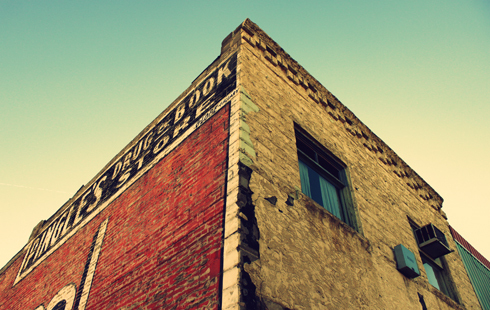 The painted wall actually made this rather plain building into a landmark. 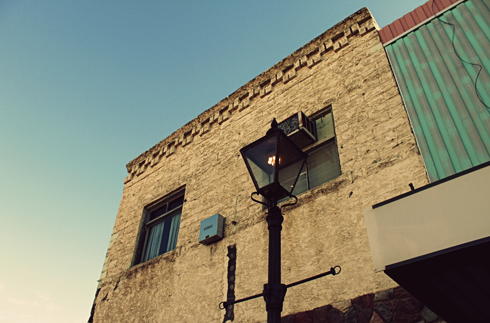 Looking at the building today you can get a sense of the various facades the structure has had over the years. 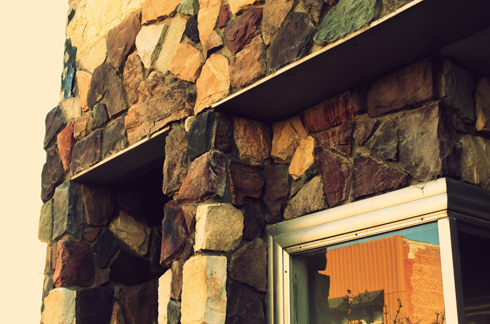 You can even see the mark from where a neon sign used to hang off the front of the building. 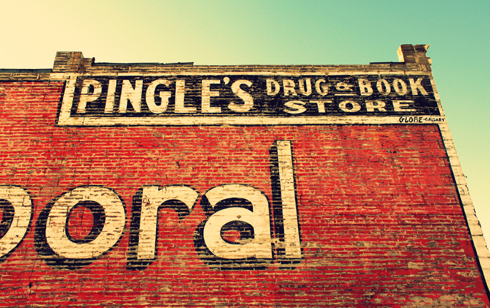 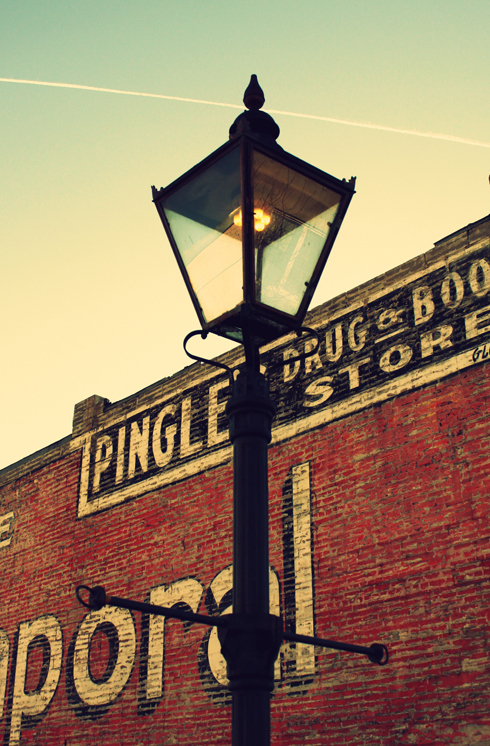 Pingle's was likely constructed around 1907-1910, obviously a few years before the Central Block went up in 1911. 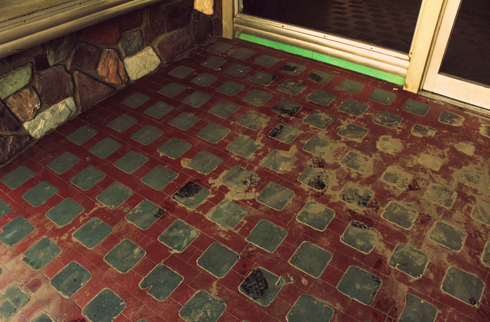 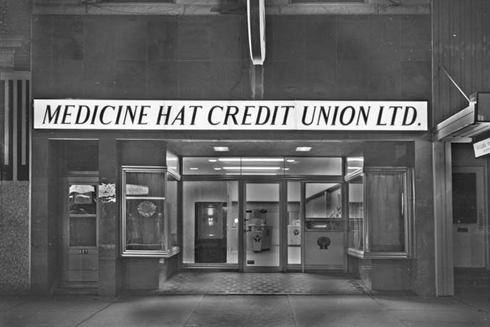 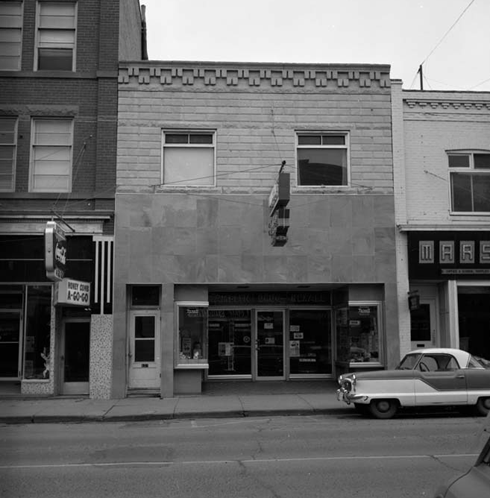 Over the years the building housed several different drug stores, and the Medicine Hat Credit Union in the 1960s. 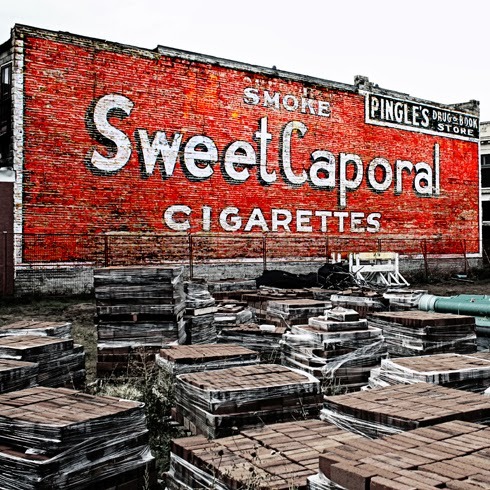 Today the location is abandoned, however the painted wall remains a popular spot for photographers. 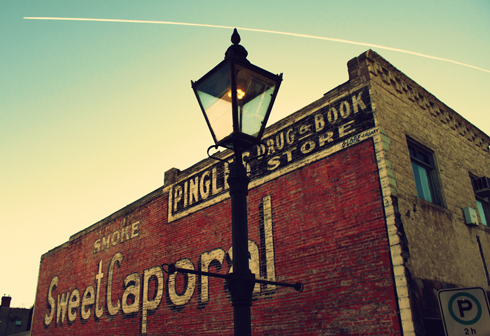 I was particularly proud of the shot I got of the gas lamp and historic painted wall with the arch of a jet plane flying overhead. 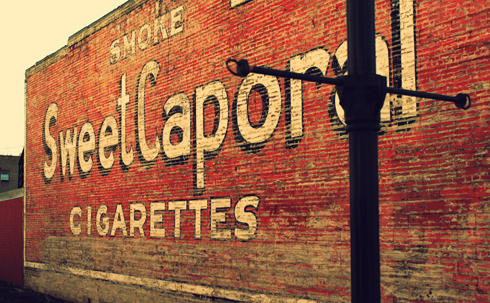 The times have certainly changed. 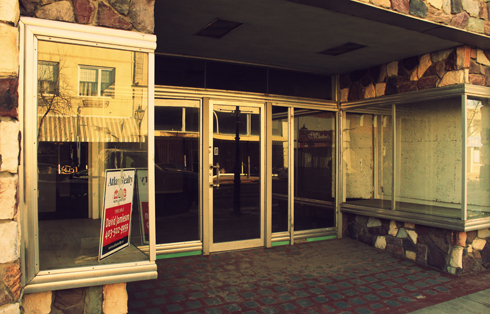 Stay tuned, as I was fortunate to get a look inside of this abandoned building.